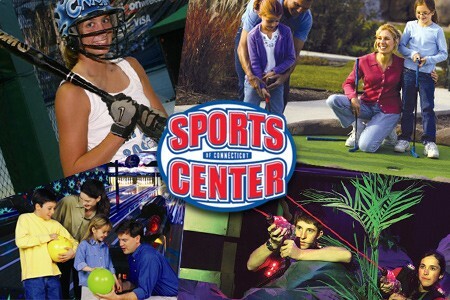 The SportsCenter of Connecticut on River Road in Shelton offers you sports and fun in any weather. These guys obviously don’t care about a little snow or rain to ruin the game. This covered and weather-protected facility offers a golf practice range, 18-hole miniature golf course, baseball and softball batting cages, laser tag arena, bowling, and the world’s only double-decker ice arena. You like sports, then this is your arena this winter? The kids love it! This is a great place to spend a day with the family. We will definitely be spending our winter here at the batting cage.